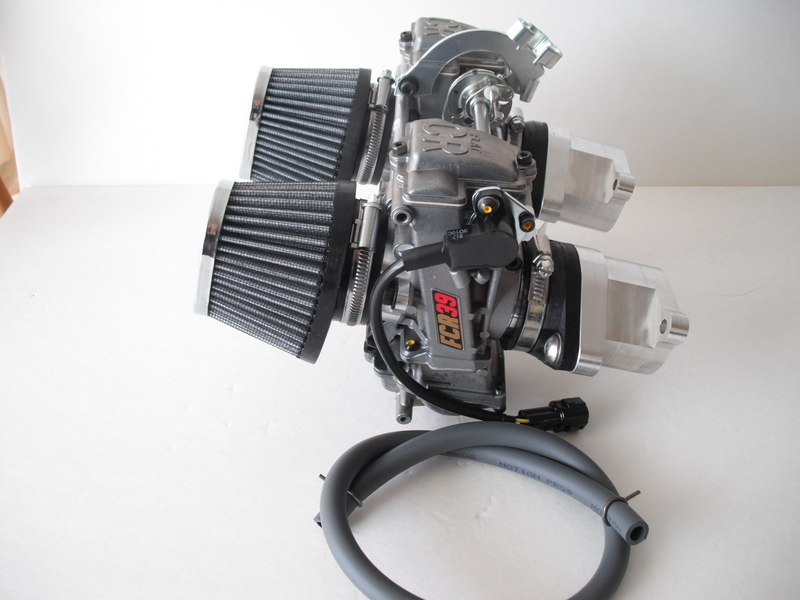 For those seeking only the very finest in performance parts, these carbs are for you. 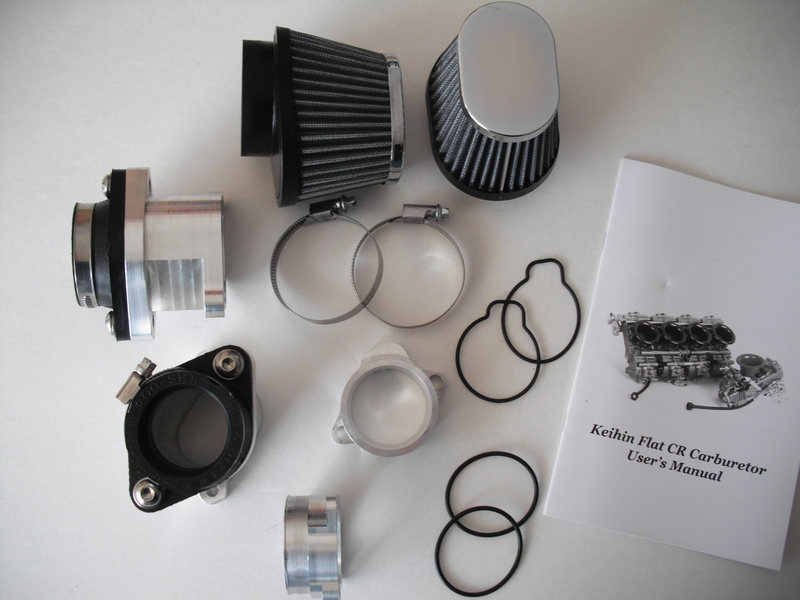 The FCR Flat Slide carbs from Keihin represent their top-of-the-line offering. 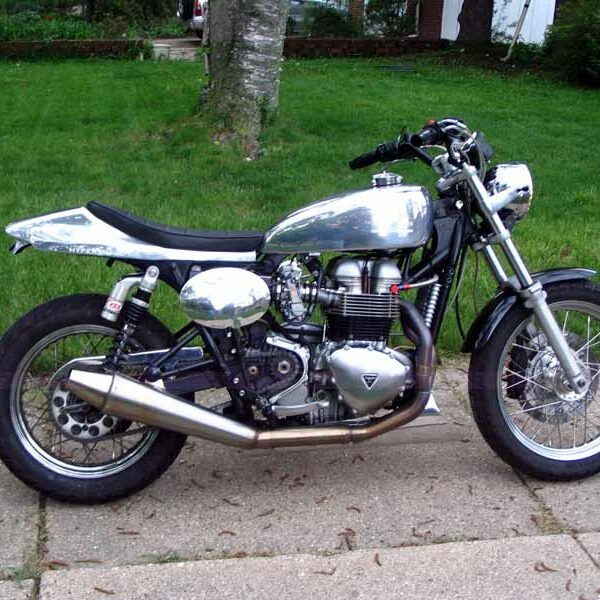 Developed specifically for all models of new Triumph Bonneville, these are not some cobbled-together kits built in the backroom of some bike shop. 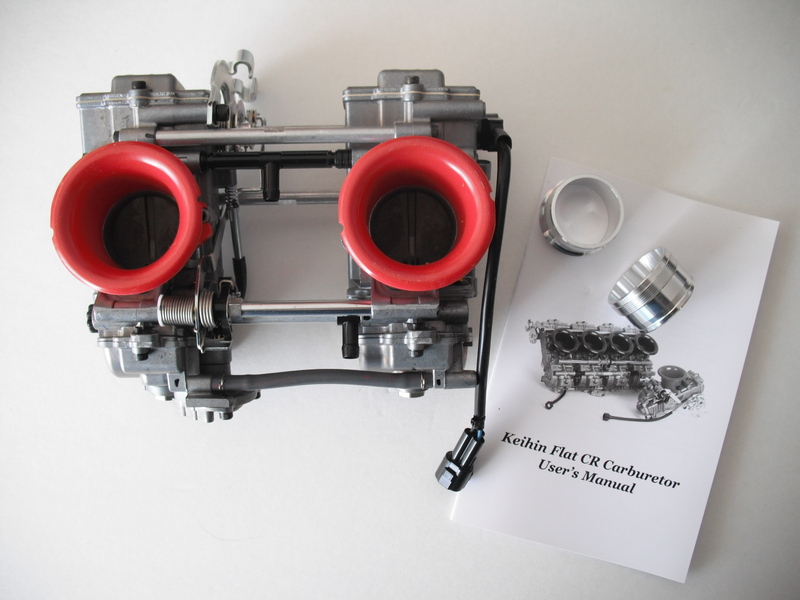 This kit is produced directly by Keihin in Japan specifically for the Bonneville and all it’s 790-865cc variants so you know that all the parts fit and work as they are intended. 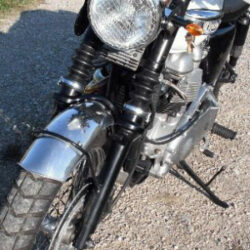 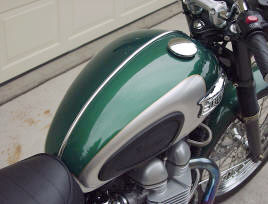 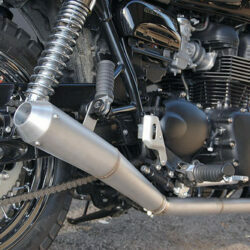 These carbs include a new Throttle Position Sensor. 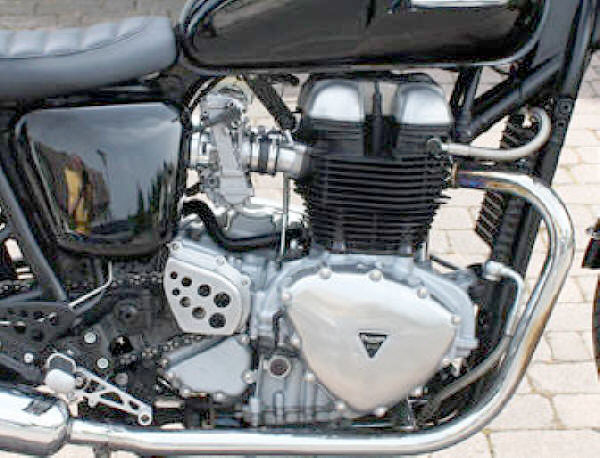 The BASIC KIT includes the twin FCR39mm carbs, two velocity stacks, two manifold spigots and is pre-jetted to match the user’s bike. 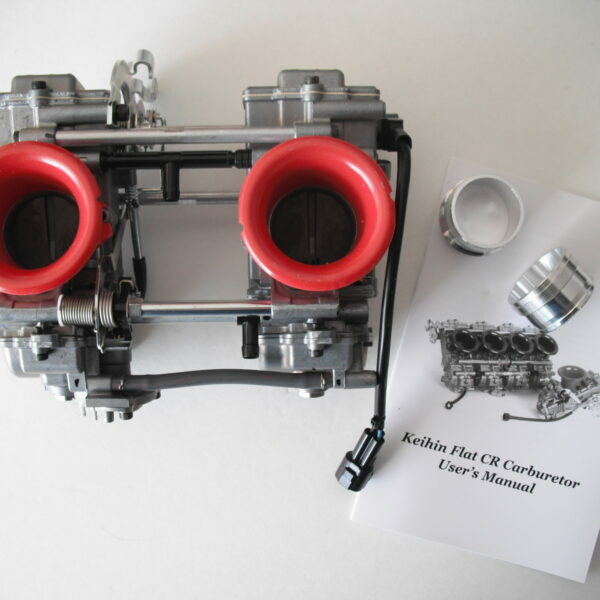 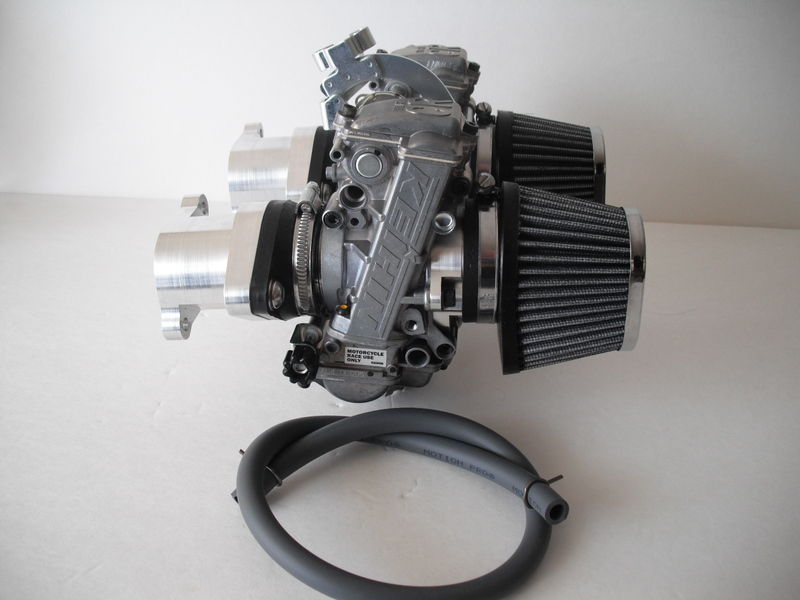 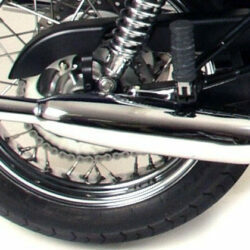 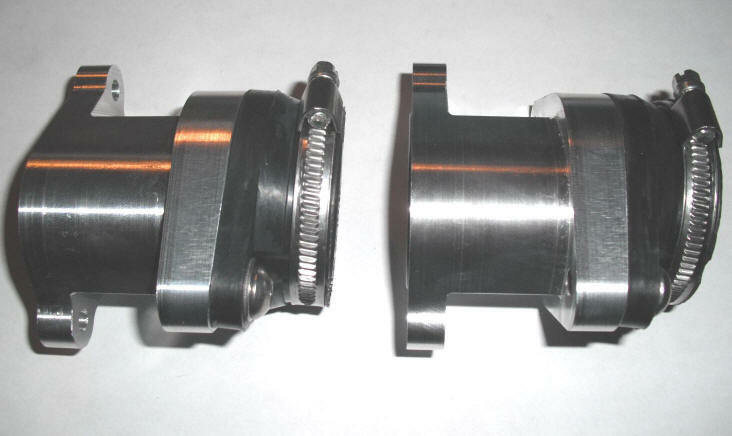 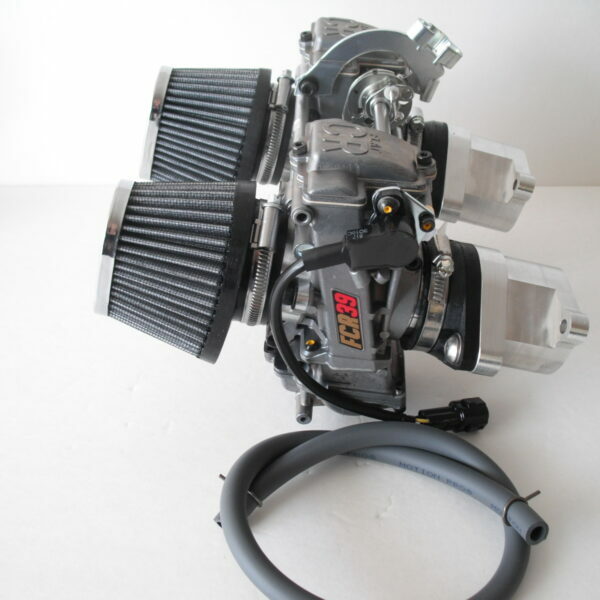 The DELUXE STREET KIT includes the twin FCR39mm carbs fully assembled and ready to install. 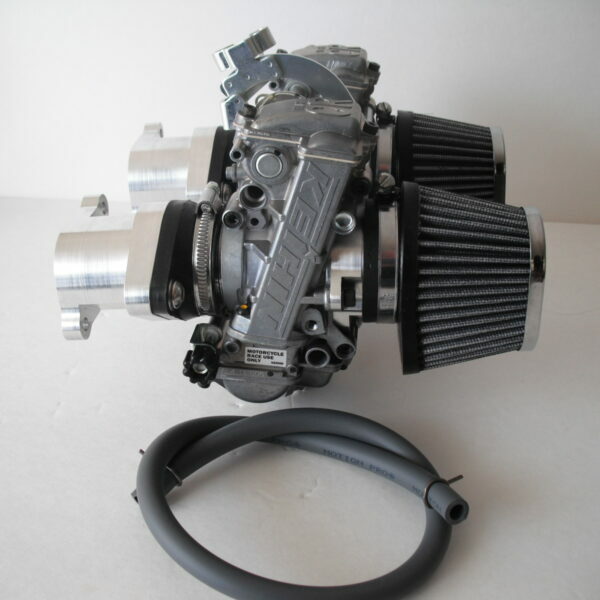 The kit includes two velocity stacks with o-rings , two air filter adapter plates with o-rings for installing 52mm pod filters and our billet intake manifolds. 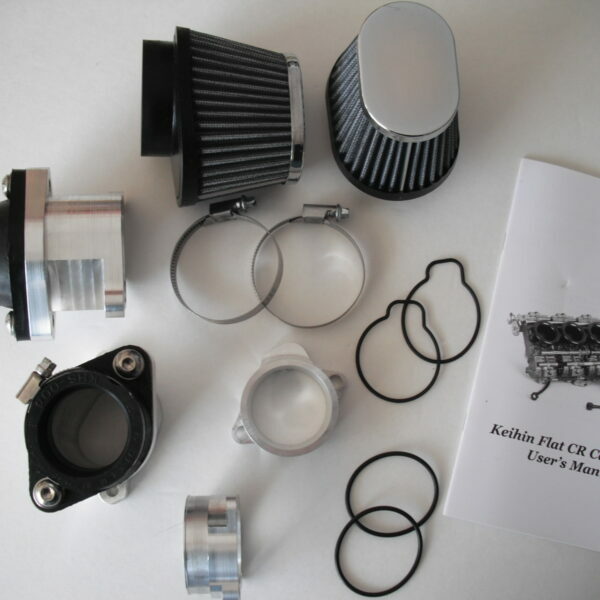 Â Pod air filters shown in photos, but are not included in kit. 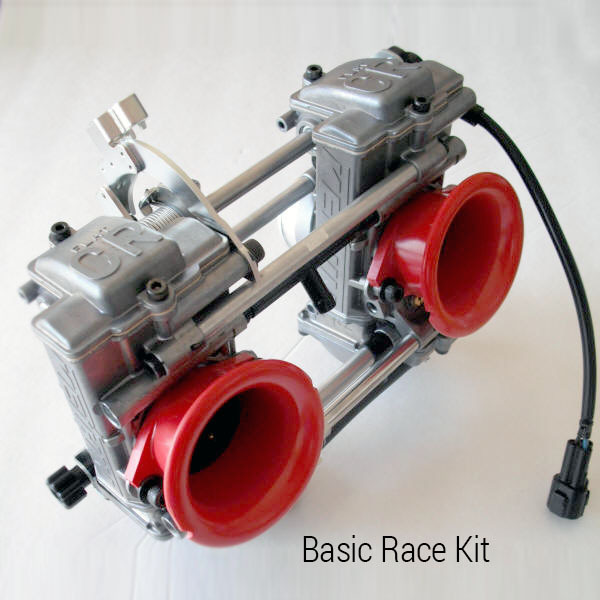 NOTE: These carburetors are intended for off-road racing applications and require the replacement or modification of the stock air box for use with with pod style filters and/or velocity stacks. 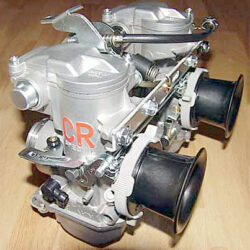 These carburetors are intended for off-road racing applications. 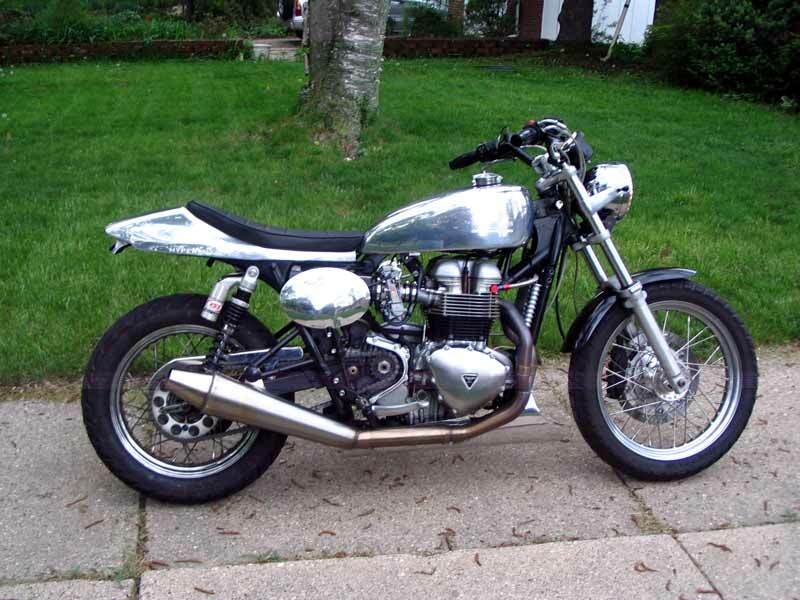 Â Not DOT approved.